Many islands in the South Pacific have been shaped by volcanic activity – the lush jungle islands surrounded by tranquil lagoons are frequently the remnants of volcanic calderas and craters. But the seismic forces that created these pockets of paradise are not just footnotes in history – on many Pacific islands, earthquakes and volcanos continue to shape the landscape. 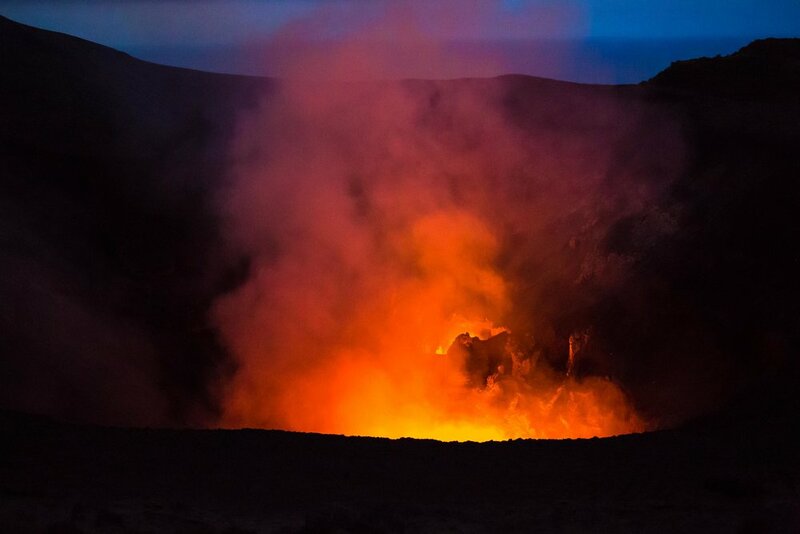 And one of the most active and most accessible volcanos in the world is located on the island of Tanna in Vanuatu – the incredible Mount Yasur Volcano. A visit to this spectacular natural phenomenon is an experience like no other, and definitely should be added to an otherwise idyllic island itinerary. 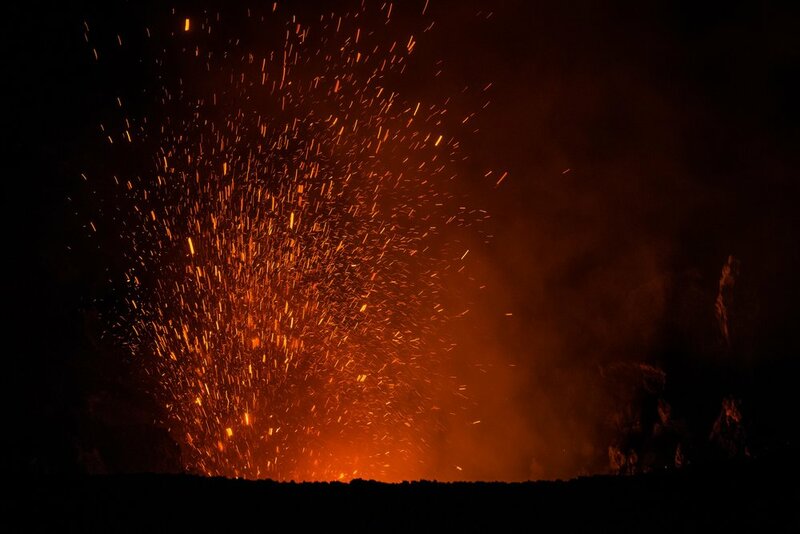 Mount Yasur is not a famous tourist attraction (yet), but it is promoted locally as one of the world’s most accessible active volcanos – and in regards to accessibility there is no doubt that this is absolutely true. The island of Tanna is just a 40 minute flight from the Vanuatu capital of Port Vila, which is itself only a 3-4 hour flight from Australia’s east coast. And once on the island of Tanna, you can travel by 4WD all the way to the sloping side of the volcano. From here, it is an easy 10 minute walk up to the rim of the caldera, and the exhilarating sights and sounds and sensations (and smells) of a volcano erupting in front of you. And while with many attractions, accessible may equate with underwhelming, at Mount Yasur Volcano, this could not be further from the truth! This phenomenal natural wonder is both accessible and active – not a few times a day, or even a few times an hour, but almost continuously, rumbling and simmering away incessantly, culminating every few minutes (yes, just minutes) in violent explosions that shoot boulders and glowing red magma high into the air. It is a thrilling experience – visceral and surreal. Once at the summit, and acclimatised to the fact that an exploding volcano is just metres away, ridge walks along the caldera to the east and the west provide a range of panoramas, all equally impressive. Some provide views across the mouth of the volcano to the shining sea beyond, just visible through the smouldering steam. Some take you into dips in the caldera rim, so that the explosions of rock and boulders and magma rise higher than the point at which you are standing. And at the far western aspect, you can peer down into the core of the volcano, where bubbling, boiling, rolling magma and iridescent red steam evoke comparisons to the gates of hell, or at least to the entry of Mordor.